Being in a band can be strenuous at the best of times, even when you’re one of the most talked about young bands on the scene. Constantly trekking across the country to play gigs on top of full-time college hours and part-time work to keep rent and bills at bay took its toll on Dublin four-piece Girlfriend. A major drawing point of Girlfriend is the sheer abrasiveness of their music. It’s unapologetic, it’s angst-ridden and it channels the kind of feelings most young adults feel but so few manage to articulately orchestrate into a creative output. But it’s the kind of authenticity that makes a band easy to relate to and is becoming increasingly rare to discover amongst a sea of indie music that seems to churn out the same sounds endlessly. Trying to balance a social life with a work life is tough enough without throwing band commitments on top of it. It was understandably all a bit too much for Girlfriend, who have decided to take a step back for a few months and "hibernate" as they so eloquently put it. 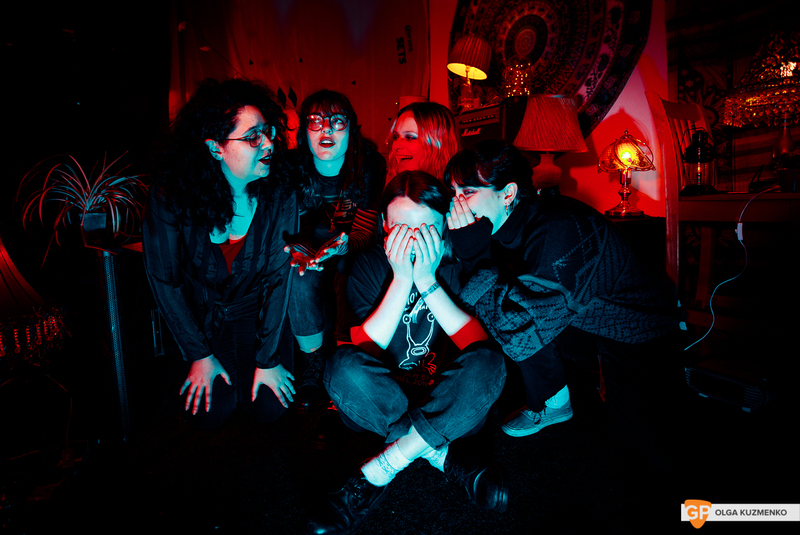 Frontwoman Hana Lamari and guitarist Sophie Dunne explain their situation with complete sincerity, and aren’t afraid to admit that they were over exerting themselves. “We all go to college, work part-time and play in a band. It’s a lot of work. “We were getting to the point where we weren’t enjoying shows anymore and afterwards, we wanted to just go home and relax instead of go out and party. “And anyone who knows me will tell you that I’m always up for a party.” Sophie laughs. The importance of maintaining a level head and keeping yourself sane is hugely important and it’s refreshing to see Girlfriend put themselves first, even though they’re one of the bands on everyone’s lips. The step back, the girls say, is so that when they emerge back into the world in a few months time, they can carry on with the successes that 2018 so rightfully brought them. 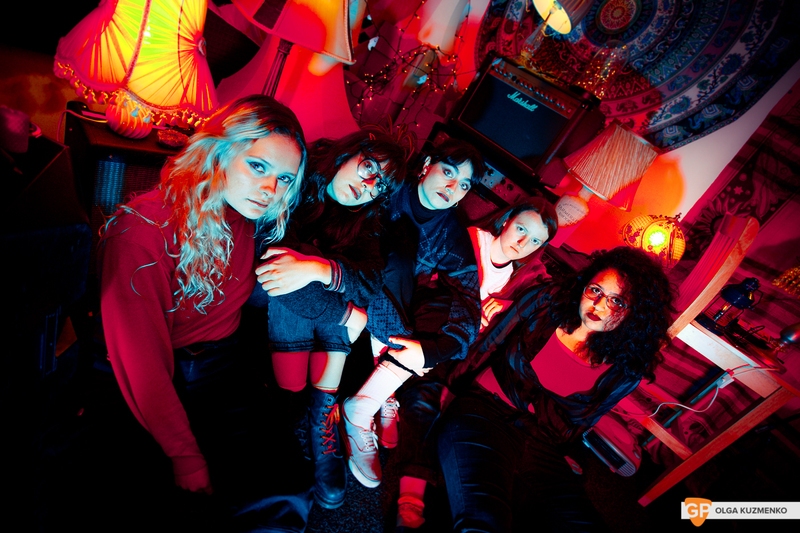 Being an all-girl band is something that the pair admit presented a few issues initially. “Most people are fine but we did get the occasional person who’d say ‘Oh, they’re only doing well because they’re girls’. And their work ethic is something that definitely can’t be argued with. An impressive 2018 saw them play countless shows, as well as Electric Picnic and two days of the prestigious Other Voices festival - a staple in the Irish music scene and a almost a rite of passage for musicians trying to make it. Hana said it was a little bit surreal to play Other Voices because like so many people, she grew up watching it. She said: “My mam would always tape it for me. I remember the first time, she had recorded it for me and just said ‘I think you’ll like this’. And I did, I watched it every week without fail. The pair talk fondly of their parents’ dedication to their journey as a band, from lifts around the country to reassuring texts of confidence, they’re behind them every step of the way. 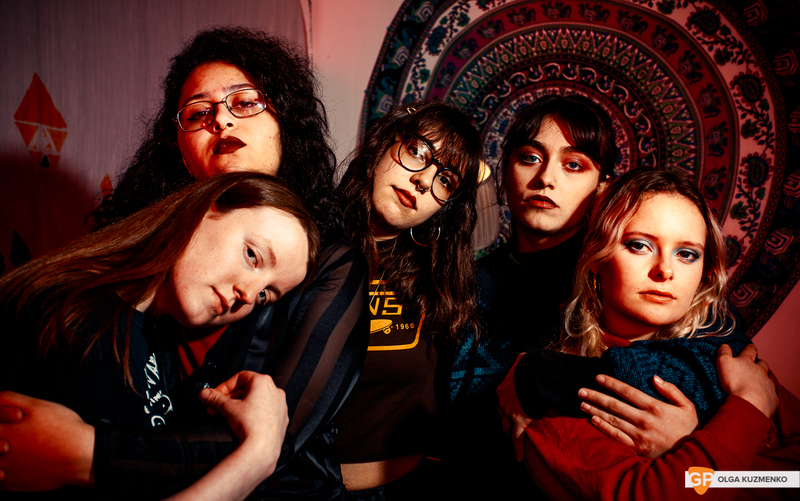 The few months away from the live scene will see the band work on new tracks, rediscover their love for performing again and more broadly - learn how to drive so their parents don't have to cart them around the country. Hana and Sophie enthuse about the DIY music scene but profess that it isn’t always easy to be doing it all alone. “We do everything ourselves. All the emails, social media, booking - that’s all us. The way the pair enthuse about other Irish bands like Just Mustard, Cruiser and Over Being Under is heartwarming to see and further adds to how humble and grounded they are. Despite the acclaim they’ve received and countless glowing reviews, they take it in their stride and still look at their peers with starry-eyes. Despite the praise, their busy personal lives continue to be something that makes the journey a little more rocky for them. The luxury of taking time off to try and ‘make’ it isn’t something Girlfriend have been - or will be - afforded at any point. And Hana admits that because of their own backgrounds, it’s been a bit different for them. “We all come from working class backgrounds and we’ve never had a lot of money. “We all have to work and four out of five of us are living away from home and worrying about rent and bills. That kind of schedule leaves very little time for freedom and as the ladies talk through their hectic lives, their reason to step back from playing shows becomes even more understandable. The songs on offer on streaming sites are songs that were written way back in 2015, when the band were 17. “We aren’t like that anymore and I feel it’s important for us to go into our music cave and write songs differently. We’ve grown up a lot and know how to express ourselves better now. In a society where we are really beginning to discuss mental health and stress in a very constructive way, Girlfriend stepping from the limelight into seclusion is a hugely respectable choice. For a band with this level of potential to burn out so early in their careers would be a massive loss to the extremely talented pool of Irish musicians emerging right now. 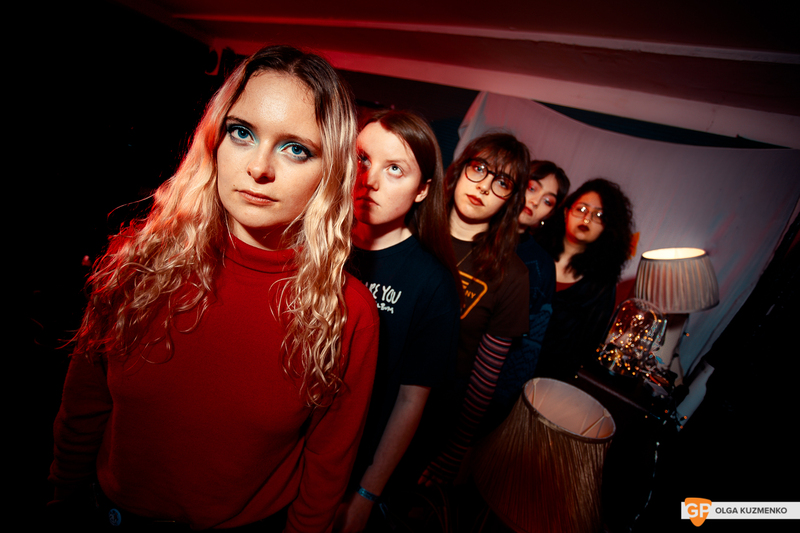 When Girlfriend emerge from their cave - regardless of how long that takes - there will be more music, more shows and surely further proof that they are spearheading the charge of talent coming through the ranks in our little country right now. A strong 2018 wrapped up with Other Voices is a pretty good time to take the step back to strengthen what they have already achieved and build upon the foundations they have so solidly created.